Originally billed as the "Pelican Bay Peace Process," this campaign was re-ignited in 2012 in the midst of a series of hunger strikes across California prisons denouncing long-term isolation and group punishment. The agreement was part of a campaign that mobilized over 30,000 prisoners in California to participate in a strike in 2013. Since then the agreement has been upheld by all major groups in the Calfifornia prison system. 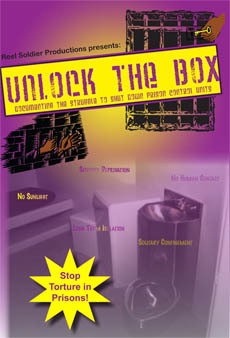 The California Council of United Struggle from Within have declared this campaign to be the number one task for CA prisoners. As the originators of the Pelican Bay Peace Process always stressed, it is through prisoner unity that we can effectively fight important struggles like the ending of torture in the form of long-term isolation. 2. Therefore, beginning on October 10, 2012, all hostilities between our racial groups? in SHU, Ad-Seg, General Population, and County Jails, will officially cease. This means that from this date on, all racial group hostilities need to be at an end? and if personal issues arise between individuals, people need to do all they can to exhaust all diplomatic means to settle such disputes; do not allow personal, individual issues to escalate into racial group issues!! In conclusion, we must all hold strong to our mutual agreement from this point on and focus our time, attention, and energy on mutual causes beneficial to all of us [i.e., prisoners], and our best interests. We can no longer allow CDCR to use us against each other for their benefit!! Because the reality is that collectively, we are an empowered, mighty force, that can positively change this entire corrupt system into a system that actually benefits prisoners, and thereby, the public as a whole... and we simply cannot allow CDCR/CCPOA -- Prison Guard's Union, IGI, ISU, OCS, and SSU, to continue to get away with their constant form of progressive oppression and warehousing of tens of thousands of prisoners, including the 14,000 (+) plus prisoners held in solitary confinement torture chambers [i.e. SHU/Ad-Seg Units], for decades!!! We send our love and respects to all those of like mind and heart? 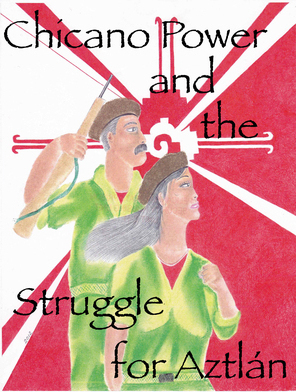 onward in struggle and solidarity? Since 2001, there have been at least 500 race-based riots behind the walls, and approximately as many individual stabbing incidents related to this conflict. Over 200 race riots took place in 2005 alone. Even worse, since 2001, the conflict has spilled out into the community outside the walls, especially in southern California, and now the community is caught up in the conflict. Of course the CDC will not take responsibility for the escalation of this conflict, but the fact remains that it was the CDC that sabotaged our efforts to end it, and now it has enveloped the whole state of California.